This classic minister's ID is perfect for more than 101 situations. It fits nicely in a pocket, wallet, or to display with a lanyard/badge clip. 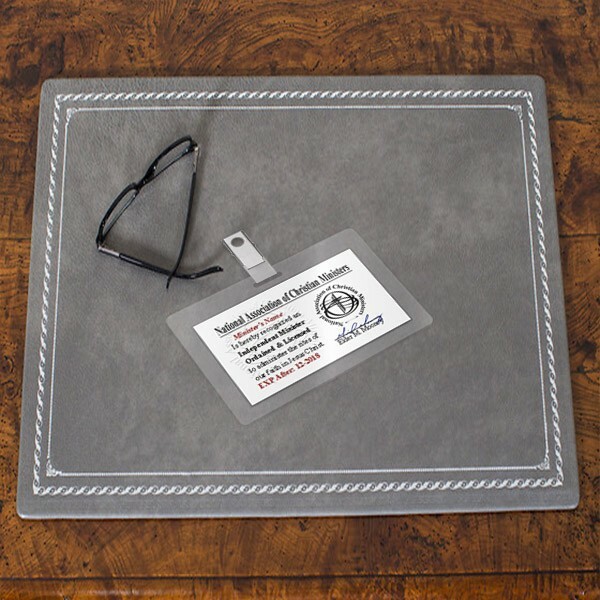 This classic minister’s ID is perfect for more than 101 situations. It fits nicely in a pocket, wallet, or to display with a lanyard/badge clip. 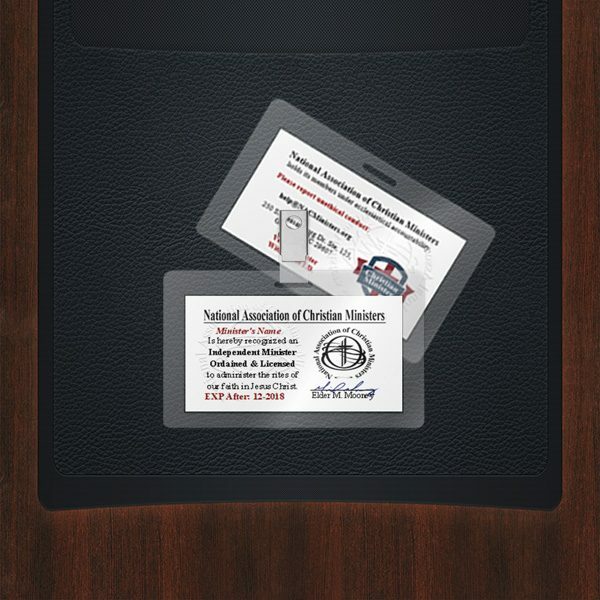 When visiting hospitals as a minister, often nurses may ask to see your minister’s license. In addition, some states require that ministers are in “good standing” with their organizations in order to perform marriages etc. This license is proof of good standing with an expiration date that is good for one year from the date of issue. 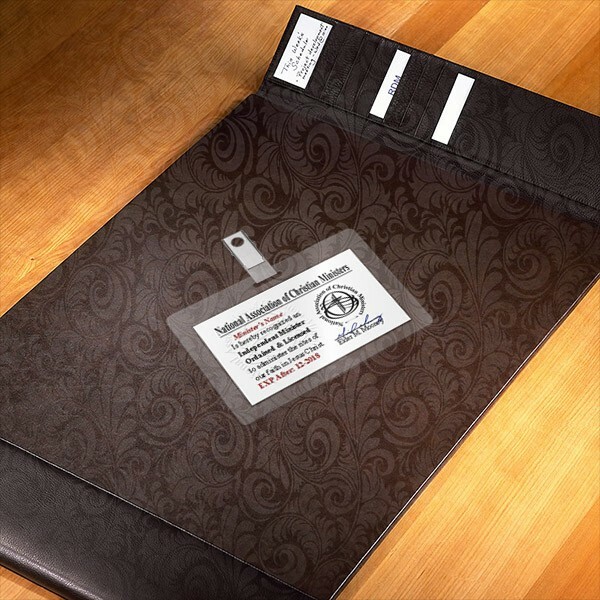 This item is double sided with the mark of ecclesiastical accountability on the opposite side. It comes laminated with 0.7ml. thick laminate (which feels like a driver’s license in your hand.) It also features an included badge clip. 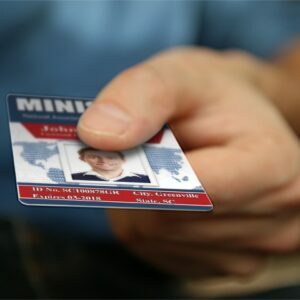 1) We renew credentials in the month that they are ordered -without regard for being early or late. b) a fraudulent request for a document with the intention of deceit. Further, the person named on the document will not be validated by our organization should a request for verification be made by government, institutions, church bodies, ministries, the public etc. In addition, the person(s) named, AND the ordering party will be identified as guilty of fraudulent intentions.